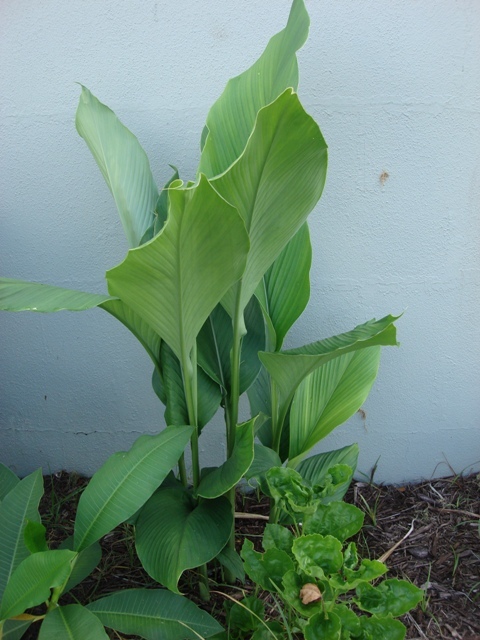 Lesser galangal (Alpinia officinarum) is in the ginger family. 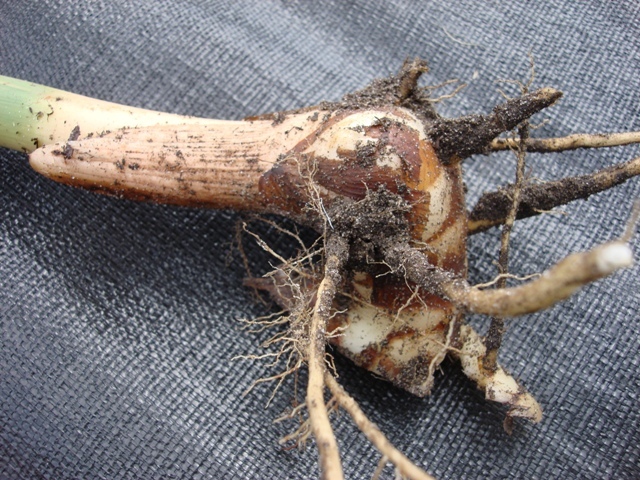 The rhizome is the part of the plant that is eaten, but it seems that it is mostly used for medicinal purposes. Grayson and I harvested a piece of lesser galangal and greater galangal from our yard so we could do a taste test with them. 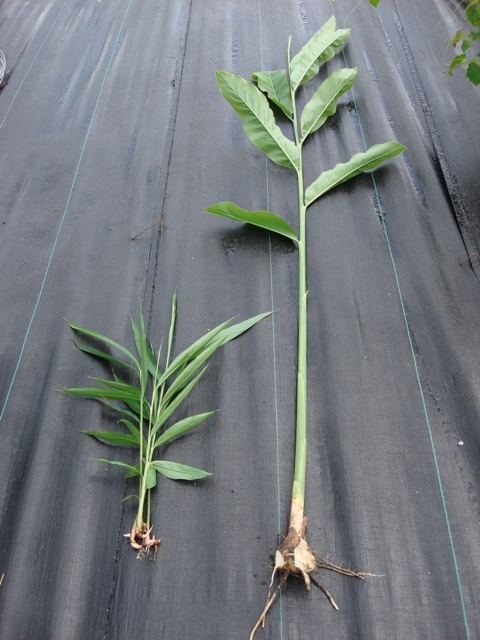 That is lesser galangal on the left and greater galangal on the right. We chopped off the stem and roots. 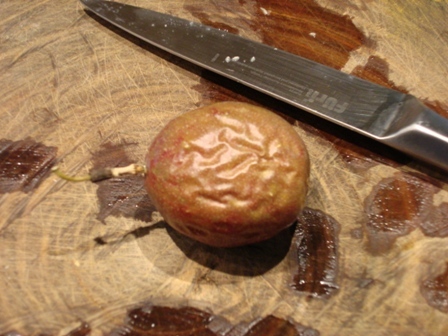 Then we washed off the dirt and used a knife to lightly scrape off the outer peeling of the rhizome. We cut both of the galangals in half and did our taste test. 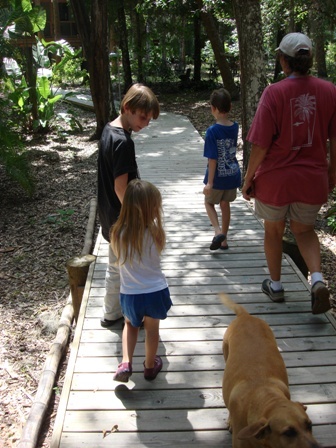 Grayson’s (8-year-old) opinion is that the lesser galangal is appropriately named and I concur. It didn’t have a tantalizing smell like most ginger. It had a strong, medicinal smell and the taste was not appealing. However, the greater galangal (Alpinia galanga) smelled sumptuous when we cut it open. It smelled so good we had to taste it. It’s flavor is sharp, but sweet. Grayson says it’s spicier than regular ginger (Zingiber officinale). I agree. 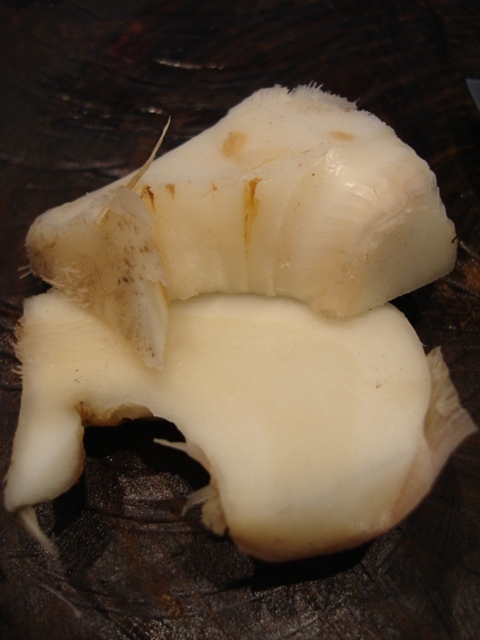 Peeled and sliced greater galangal. We added this beautiful piece of greater galangal to a pitcher of water and now it’s Grayson’s new favorite drink. I promised him we would try our hand at making some “galangal beer”. We’re going to use a ginger beer recipe but we’ll substitute the ginger with galangal. My version of the recipe has more sugar and the galangal flavor won’t be overpowering. I like my ginger beer to tickle my throat, not burn it. This is my mature greater galangal. It is approximately 13 feet high and in full bloom. This is my lesser galangal plant. It is approximately 2 feet high. In conclusion, we like the way the lesser galangal plant looks in our garden but we probably won’t bother to dig out the rhizomes. The lesser galangal will always be our “lesser” choice. 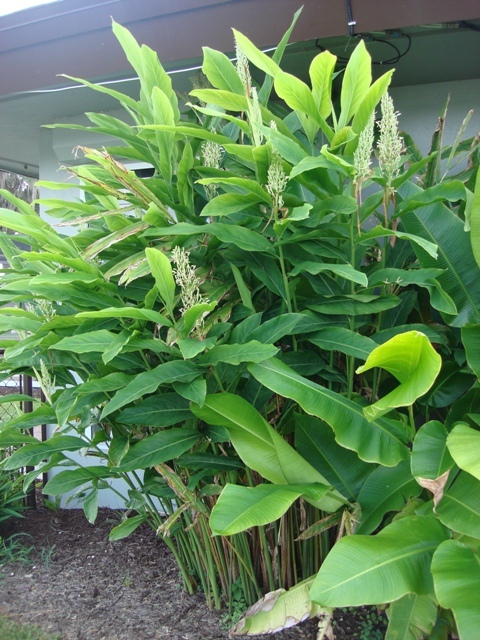 However, we absolutely adore the way the greater galangal looks in our yard. This is edible landscaping at its finest. We love the taste and we are planning many ways to enjoy our greater galangal at our family table. and time passes in a dream of light. the sky with its tongues of flame. This poem was written by Gwyneth Barber Wood from Kingston, Jamaica. 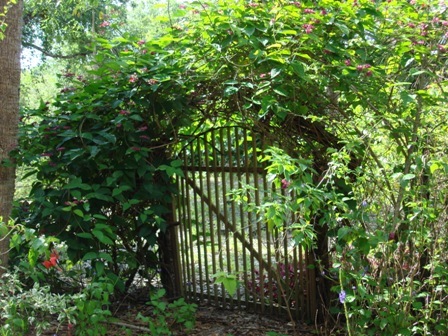 It was published in her book of poems, “The Garden of Forgetting”. Her work used to appear regularly in the literary section of the Jamaican Observer. In 2001 she was awarded a Fellowship by the Virginia Center for the Creative Arts. 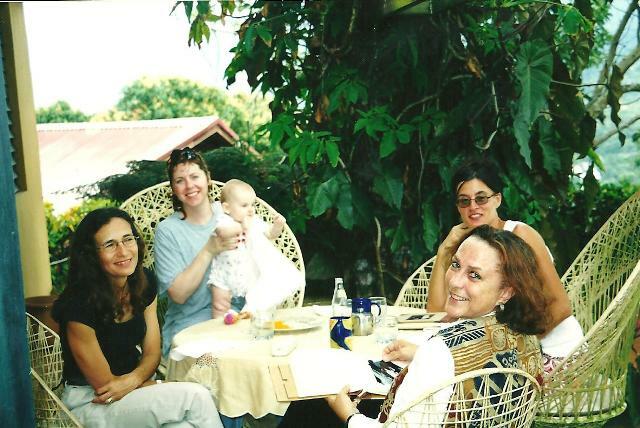 Gwen is a dear friend who is now gone from this world but not forgotten. I wanted to share this beautiful poem of hers with you in her memory. That's Gwen looking back at the camera and smiling. Life is so busy. Slow down once in awhile and smell the flowers. Life is a gift, enjoy the present. Turmeric is a food that heals. It has great medicinal value. So why isn’t it a part of our everyday cuisine in America? I wish it were. I have been taking steps to make it a part of our everyday meals. 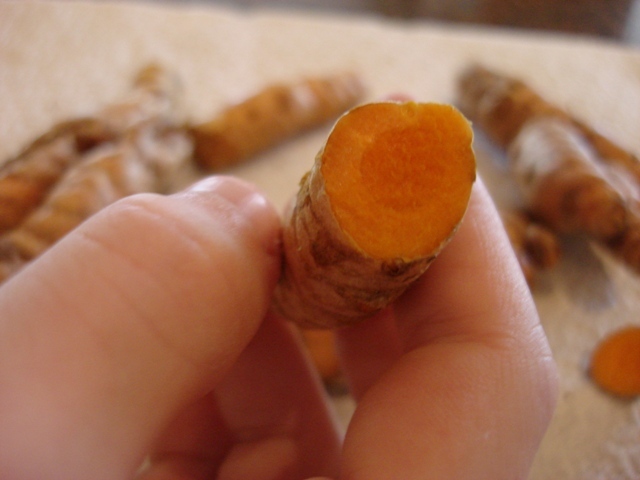 Turmeric is the rhizome of the Curcuma longa plant. It’s in the ginger family and I grew some just like I did with the ginger rhizomes. 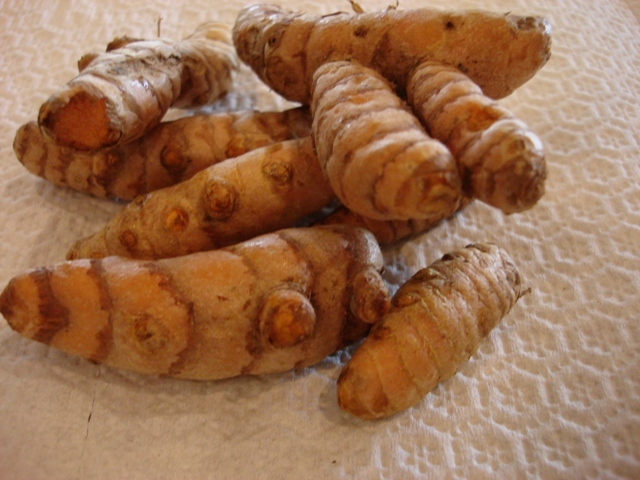 I purchased my turmeric rhizomes at a health food store in the produce section (right next to the ginger). I put the rhizomes in a big pot and lightly covered them with soil. Then I waited patiently. It took awhile for them to grow but it was worth the wait. The plant is absolutely lovely. This is my turmeric growing in a pot. I think I planted this around March, but I didn't take note of my planting date. This is turmeric that I planted in the ground two years ago. It goes dormant in the winter and comes back beautifully in the summer. 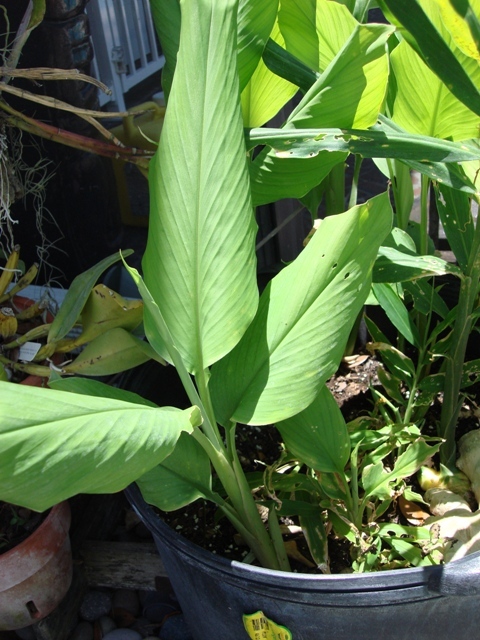 Turmeric is a warm and humid weather plant. 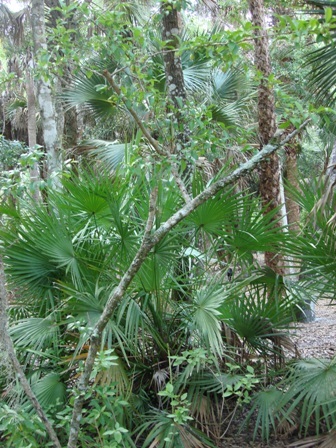 It goes dormant in the winter in my zone 9b in Southwest Florida. 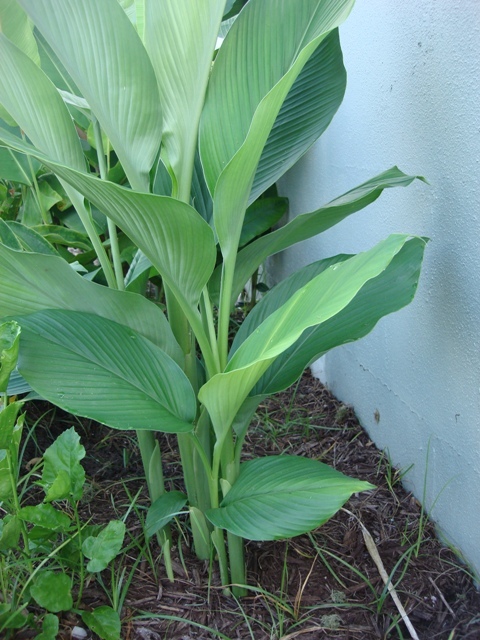 My turmeric survived an extremely harsh Florida winter this past year, which surpised me. It is generally harvested on an annual basis after about 9 months of growing. 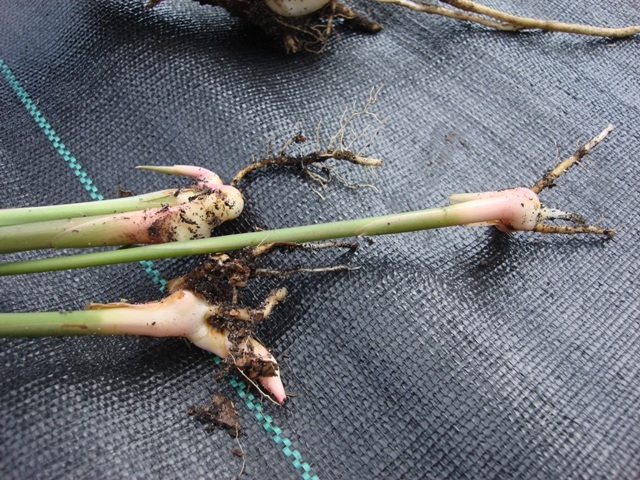 Extra rhizome is usually saved to continue growing more. 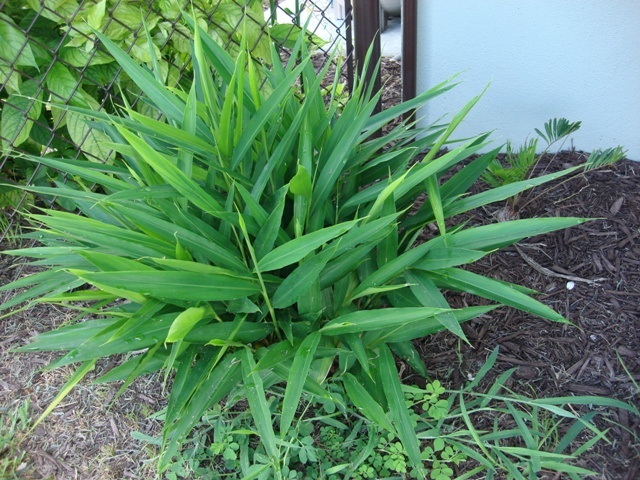 I have turmeric growing in two places in my yard and both are in full sun, but get some shade from other plants. They are healthy and happy. After turmeric is harvested, it is boiled, dried and ground up into a powder. 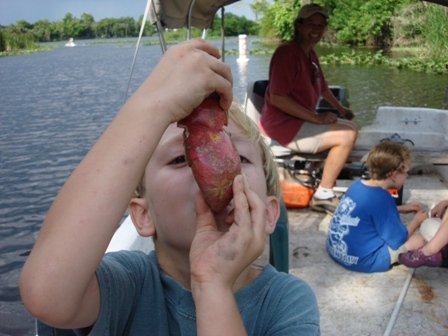 When the rhizome is peeled (it has a very thin skin) it has a deep orange color to it. The main substance in turmeric is Curcumin and this is also what gives it the orange color. 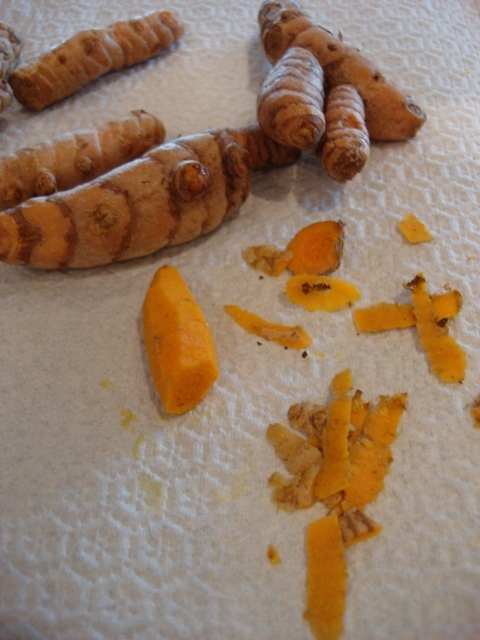 When fresh turmeric is sliced open, it will stain your fingers and it’s not easy to remove. It will also stain your teeth. I like to slice a small piece off and put it in the blender with milk and honey… my own special turmeric milkshake. My husband and I both love it this way. It’s quick, easy, tastes great and doesn’t stain our teeth. Turmeric is touted as a powerful anti-inflammatory as well as a powerful antioxidant. It is also considered a cancer fighting food. I have heard many times over the years that it doesn’t take much of it to provide extraordinary benefits. A lunch of curried vegetables would suffice. Everything in moderation. To read more about the health benefits of turmeric and it’s side effects, click here. The list of health benefits from consuming turmeric is long. So are the delicious ways to include it in your meals. Turmeric is good stuff! Curcuma longa. 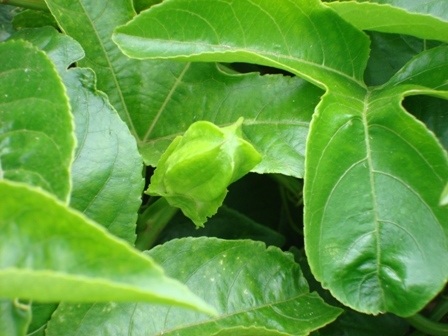 The leaves can be used to wrap foods in for cooking. (The plant on the bottom left is a frangipani and the bottom right is a hibiscus). Don’t let your bottle of ground turmeric be forgotten in your spice drawer. Does yours have dust on the cap? Blow the dust off and add a couple of pinches to some plain yogurt with a little honey and cinnamon and start enjoying the awesome benefits. I really enjoy the taste of fresh turmeric so I like to grow my own. It feels great to have it whenever I feel for it and all I have to do is stick a knife in the soil and cut a little piece off. It’s so easy. I’ve also heard that it deters ants in the garden too. 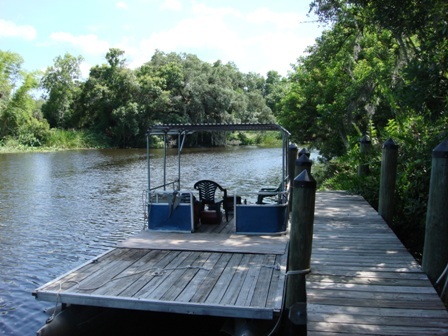 It’s not every day that we get to visit a family farm on an island… their very own island. It was such a treat for us. They even have their own island taxi. 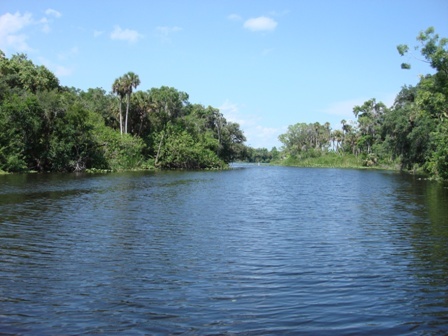 The Caloosahatchee River in Southwest Florida. This is the taxi for the other occupants on the island... goats. 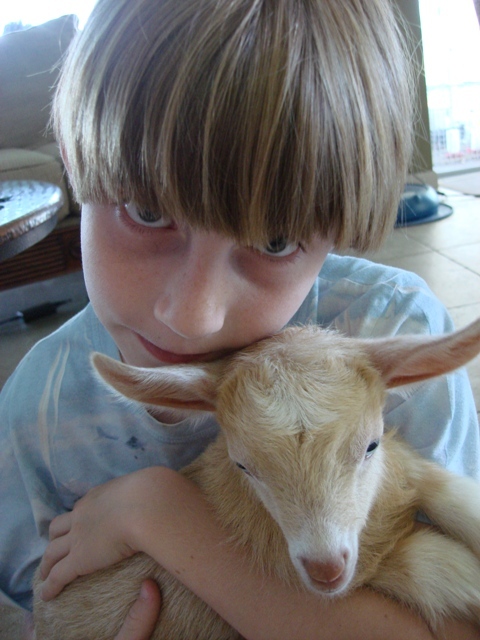 The family raises honeybees and goats on the island farm. They have honey and goats to sell most of the year. 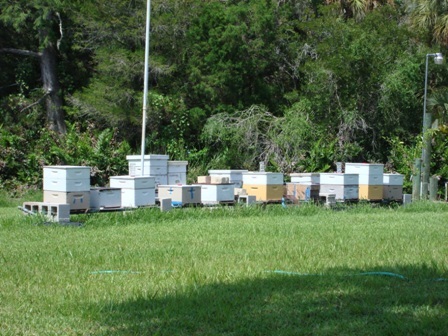 Southwest Florida honeybees on Alva Island. 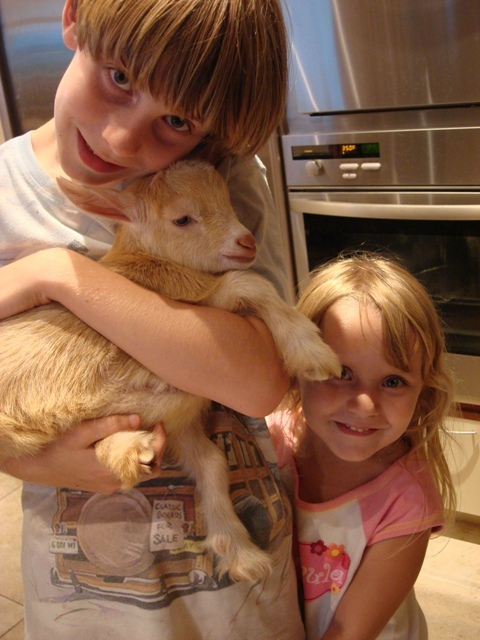 This is where we’re getting the latest additions to our family… two baby Nigerian dwarf goats. Only one has been born and we’re still waiting on the other one. 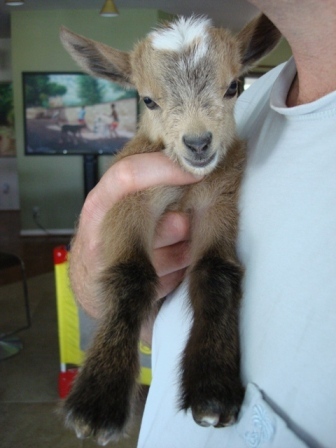 The Nigerian dwarf goat is a liliputian dairy goat. The females (does) only reach 17″-19″ in height and the males (bucks) only reach up to 21″ when they’re fully grown. That’s only up to our knees. They do get wide though, especially when pregnant. 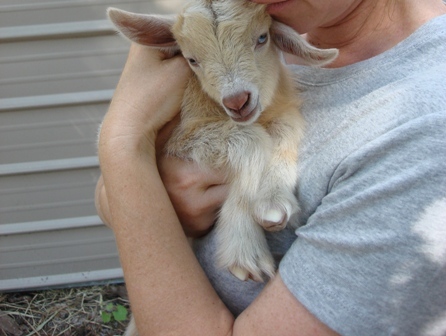 This special and rare breed has been approved by the U.S. Department of Agriculture as a livestock dairy goat, which makes them eligible for our 4-H projects. 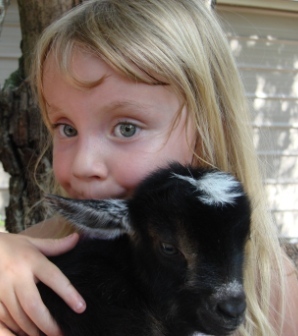 Both my kids want to show their goats in 4-H. I’m sure my 3-year-old will knock their socks off with her husbandry skills in the pee-wee division. 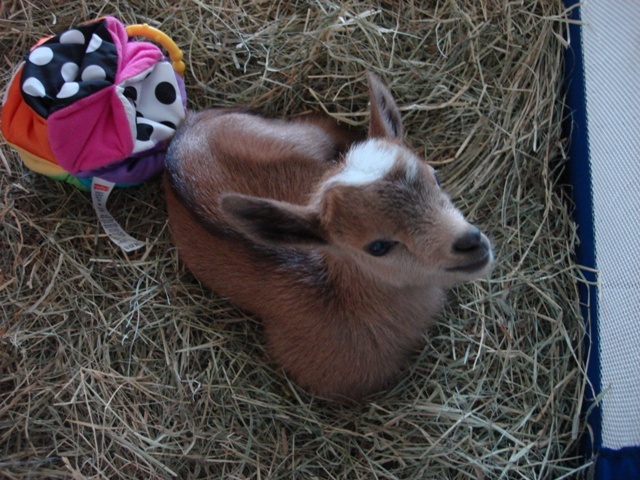 Nigerian dwarf goats can produce a lot of milk for their size… up to 2 quarts per day. 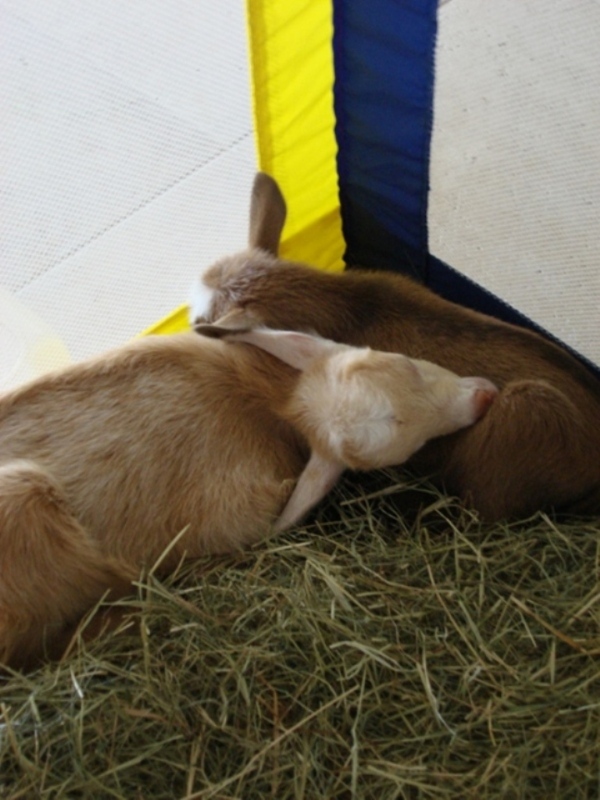 Their milk is known to be higher in butterfat than other goat breeds and taste sweeter. 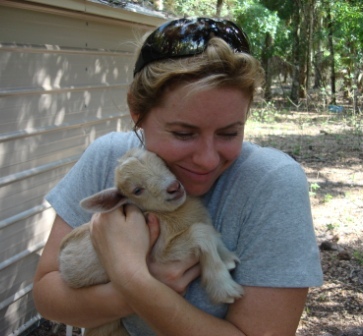 These goats are gentle, lovable and playful with the sweetest personalities. 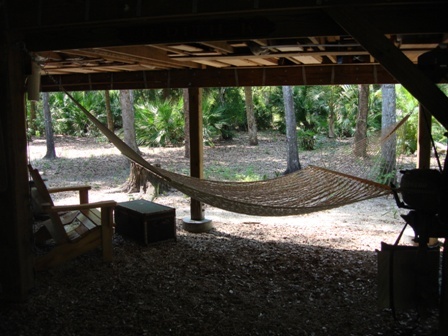 I love hammocks. I dream of them. One of these days I will have to time to get one of my own and actually use it. 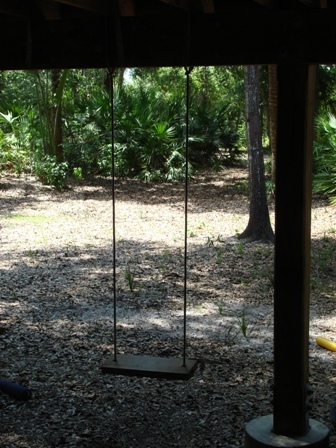 A swing on Alva Island. 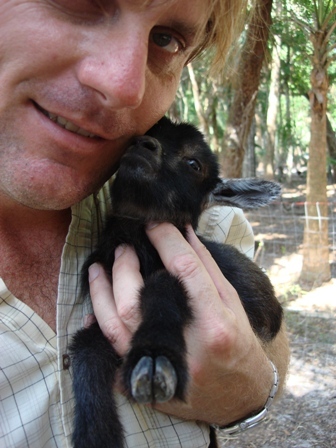 ... and the baby Nigerian Dwarf goats. She was determined to keep this one. This one is ours. Do we have time for this? No. Are we going to make time? Oh yeah! She's a doeling with blue eyes. 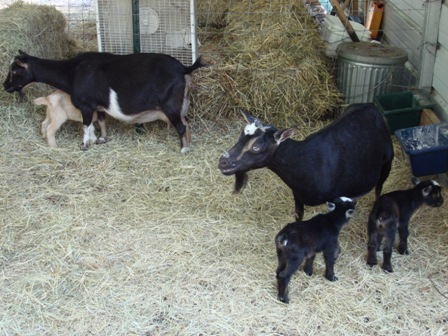 The Nigerian dwarf goat nursery on the Alva Island Family Farm. They have a vegetable garden as well. This is the entrance. 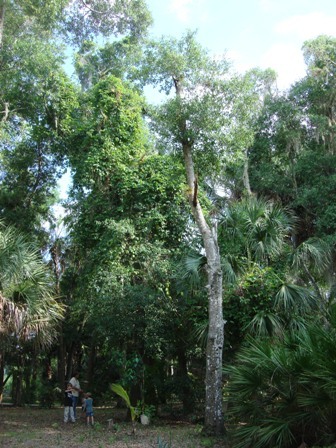 The island still has all of its native Florida landscaping which makes it incredibly beautiful. 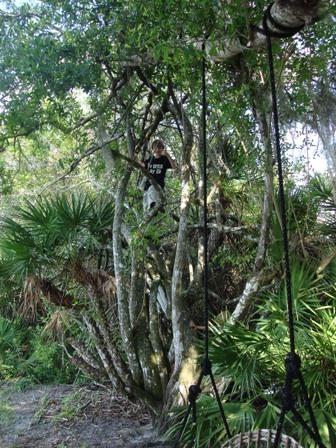 Hog plums are all over the island. Click on the picture for information on hog plums. 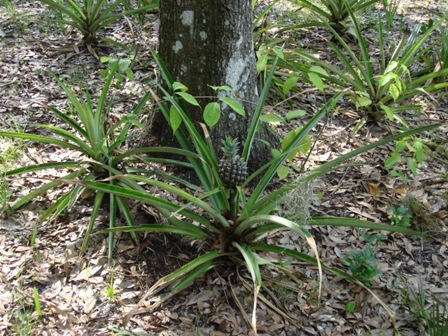 They have pineapples growing everywhere too. This is a huge passion fruit vine that went to the top of this tree! There are hundreds of passion fruit all over the ground. The kids were throwing them like baseballs. Ripe passion fruit are delicious! 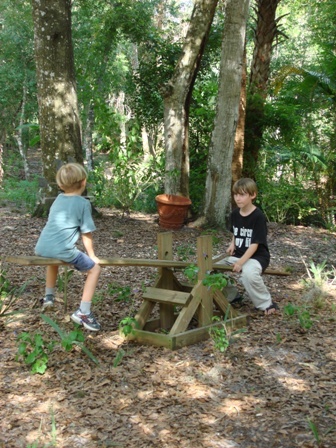 If you would like to see how they got their goats onto the island, check out their website at AlvaIslandFarm.com. We had a blast with our lemonade experience. Since everybody has different likes and dislikes when it comes to flavors, we wanted to do a little experiment. Grayson and a group of his friends decided to pick a bunch of different leaves and flowers from our yard and add them to homemade lemonade to see which ones tasted the best. They gathered lemon verbena, Chinese mint, provence lavender, roses, jasmine, moujean tea leaves (Nashia inaguensis), kaffir lime leaves, lemon balm (Melissa officinalis), rosemary, basil, and stevia. We boiled some water with brown sugar to make a sugar syrup to add as our sweetener. 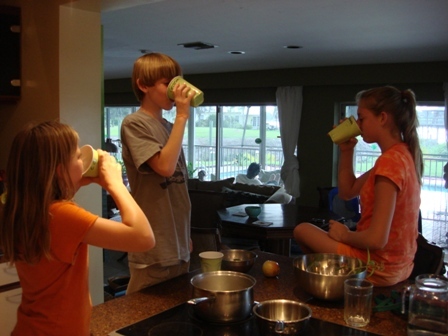 Then we lined up a bunch of glasses of water with freshly juiced lemon or lime. 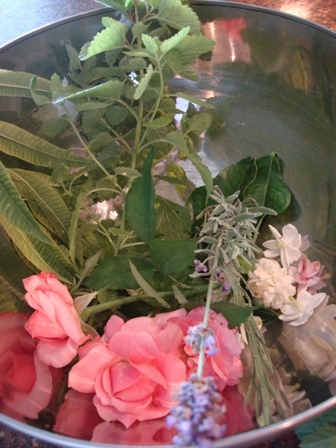 The kids decided which herbs and flowers to combine. 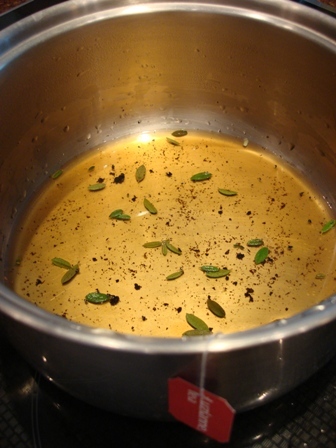 To get our flavors, we heated a little water in a pot and briefly added the herbs to make an infusion. (The herbs would usually be left in the pot for 10 minutes with a cover to make an infusion, but we got plenty of flavor by infusing them briefly.) We then strained the flavored water into our glasses of lemon water and sugar. 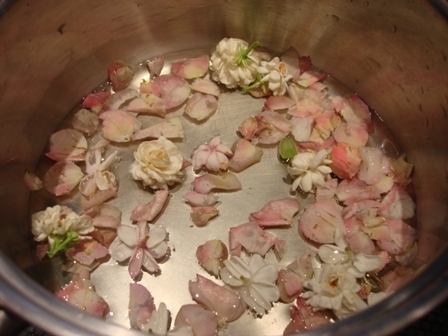 This is a bowl of some of the flowers and leaves we used to make our flavored lemonades. 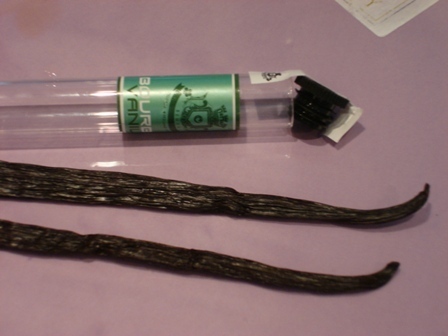 We sliced open a bourbon vanilla pod and scraped out the seeds to use in some of our homemade recipes. 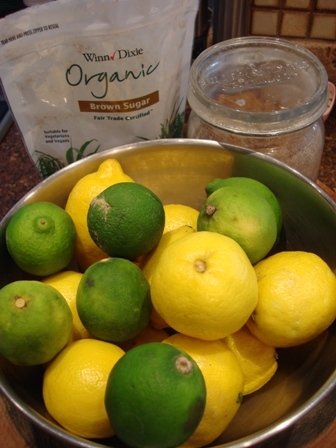 We used organic brown sugar, lemons and limes in our lemonade/limeade drinks. 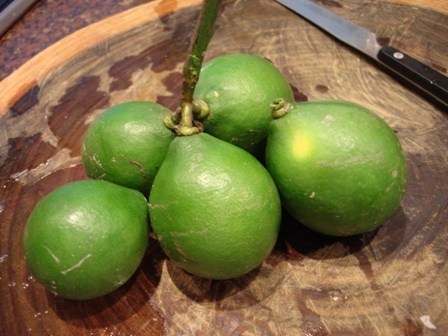 The kids picked some meyer lemons from the yard to see if they might make a better tasting lemonade. Meyer lemons picked from our yard. Almost all of the concoctions turned out tasting really great and “kid approved”. The tasting panel consisted of two 8-year-olds, a 13-year-old, a 10-year old and a toddler. However, the basil lemonade did not please everybody. One of them said it was actually “disgusting” and one said it had an unpleasant after-taste. Grayson said he really liked it. The moujean tea leaves, vanilla seed and Luzianne tea bag lemonade made an awesome "tea-monade". All the kid tasters loved the Chinese mint lemonade. It was extremely refreshing because it seemed to have more menthol than the spearmint I usually use. The edible jasmine and rose petals made a really unique and pleasant floral tasting lemonade. The kids said they didn’t like the jasmine and rose petal lemonade, they loved it. I made sure they understood that the jasmines are the edible variety (maid of Orleans and Grand Duke of Tuscany Jasminum sambac). 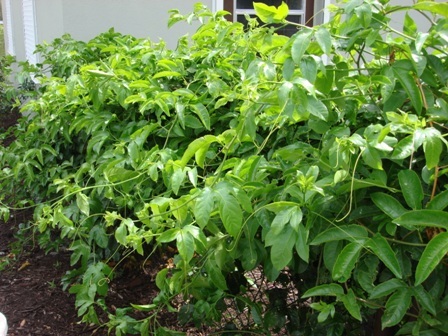 There are many varieties of jasmine that are poisonous. I also explained to them that most roses are sprayed with a ton of insecticides and fungicides. I don’t spray my roses with anything, therefore they are edible for us. The lavender lemonade and the rosemary lemonade were nice. The kaffir lime leaf limeade was also good. The lemon balm lemonade was outstanding and was the winner by a landslide. Not a single one of us had any intestinal distress of any sort and we all slept like babies. 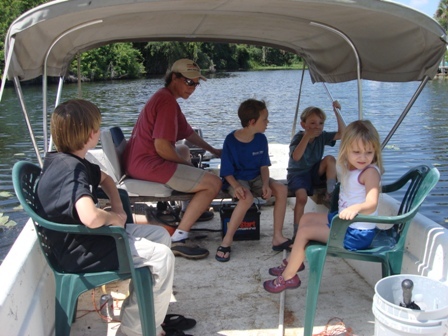 This was a fun time and we all want to do it again… next time with iced-tea. 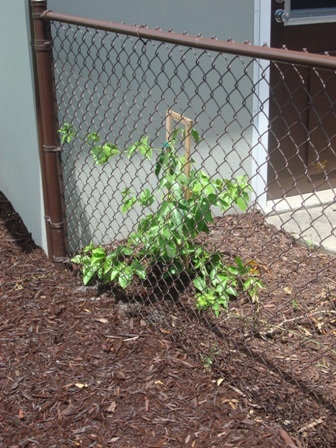 Our passion fruit vine last year. Our passion fruit vine this year. 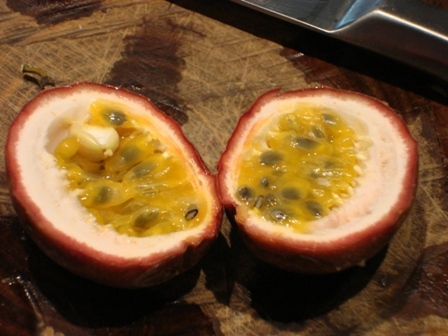 Passion fruit is an exquisite fruit. 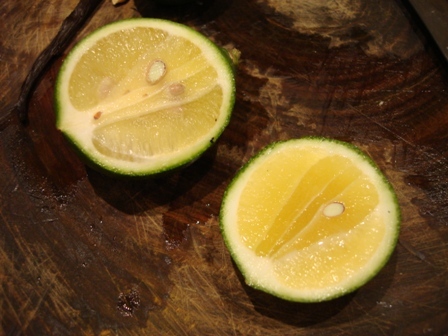 When the fruit is ripe, I just cut it open and scoop out the seeds and pulp with a spoon and eat it all. Some people don’t like the seeds and go to great lengths to separate them from the pulp. We really like the seeds. The pulp and seeds are so yummy when they're blended into a milkshake. 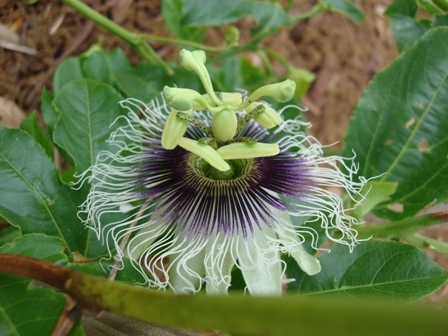 There are many different varieties of the passion vine (Passiflora). The variety in the above picture is called “bounty” because it gives a bounty of fruit. We could barely contain our excitement when we finally had a ripe fruit to taste off our vine. It was deliciously tart with a hint of a floral flavor. This bud will open into a passion flower. This passion flower will close and a fruit will form. The flower has a lovely smell. 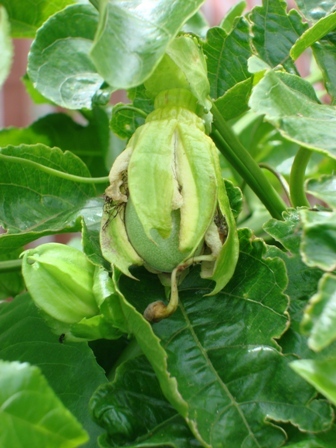 The passion flower closes and the fruit will soon form. 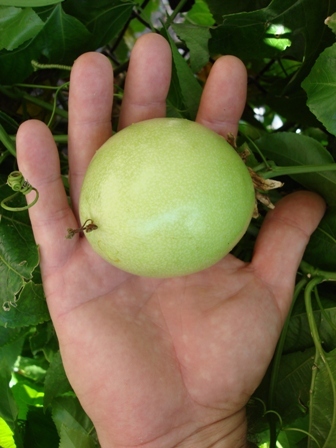 This is my husband's big hand holding a passion fruit. I'm just sayin'... that's a big passion fruit. This fruit is in a much smaller hand. 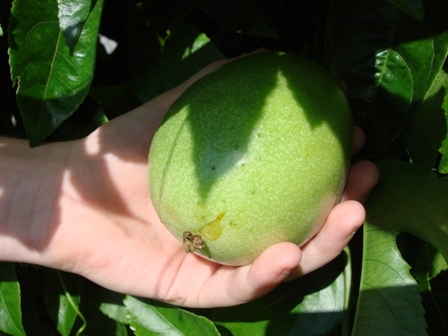 When the passion fruit is ripe, it will turn purplish and will wrinkle up. There is so much to learn about the gorgeous Passiflora. It comes in so many varieties. We’re growing many different kinds of our own and can’t wait to see what they turn into. 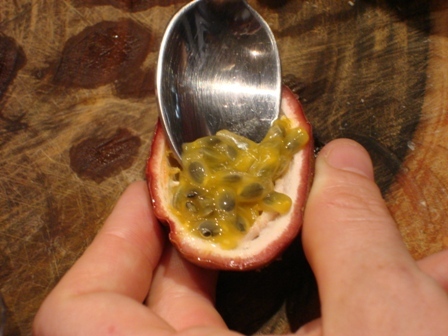 Did you know that the passion fruit acts like a sedative? We always sleep well after we scoop it onto our vanilla ice cream before bed. We’ve got lots more to share with you on this amazing plant. Check back with us for part II on the Passiflora.